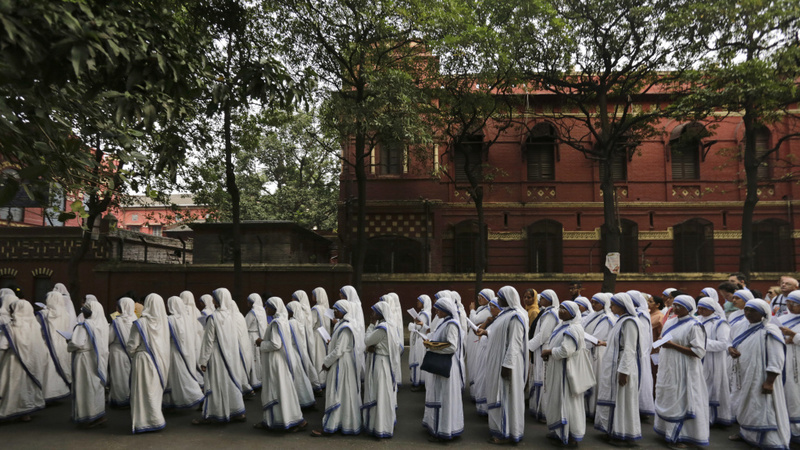 Nuns of the Missionaries of Charity, the order founded by Mother Teresa, who was canonized two years ago, walk in annual Corpus Christi procession organized on the Feast of Christ the King in Kolkata, India, in 2016. India's NDTV cites an unnamed police source as saying all four babies were sold within the last year. "We are getting many leads but we cannot divulge them as of now," Ranchi Superintendent of Police Anish Gupta was quoted by the Times as saying. In a statement on Monday, Women and Child Development Minister Maneka Gandhi said she had instructed states "to get childcare homes run by Missionaries of Charity all over the country inspected immediately." Gandhi's ministry said under India's Juvenile Justice Act, shelters dealing with adoption must register with the Central Adoption Resource Authority. 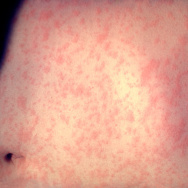 However, it said some 4,000 institutions have yet to comply more than two years after the law went into effect.